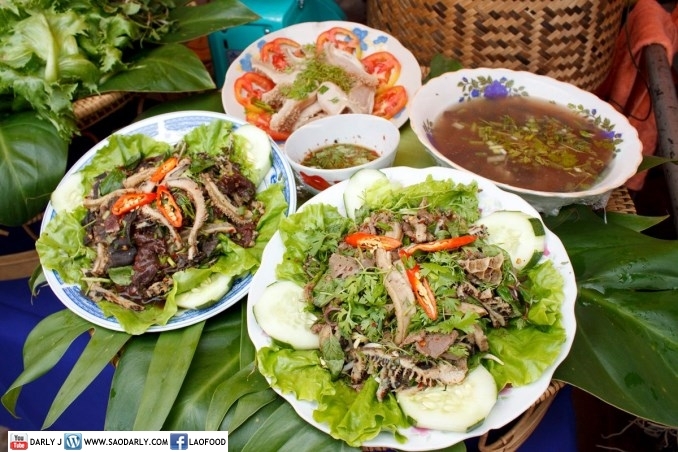 The 9th Annual Lao Food Festival will be held from January 16-18, 2014 at the National Cultural Hall, in Vientiane, Laos. The even will featured Laap (Larb) or Minced Meat Salad Cooking Competition on the opening day of the the festival. The Lao Food Festival is aimed at promoting women’s businesses and a chance to promote food and goods from the various provinces of Laos. Visitors will have a chance to sample and buy rare provincial treats and shop for handicraft products that showcase a uniqueness of Lao culture from various provinces.